I hope everyone get the chance to see their BFF today or at least sometime this weekend. I know my best friends mean the world to me and I’m so lucky to have them. So whether you have one or several, enjoy your day! I wrote a review on this book last summer and gave a copy to my son when proposed to his best friend. 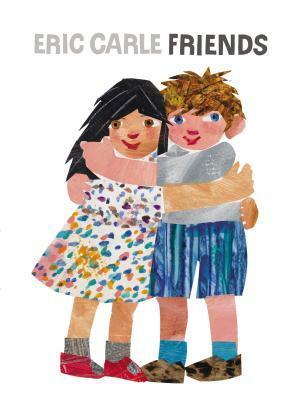 It is a touching story based on an event in Eric Carle’s life when he was just a boy and his family moved back to Germany and he never saw his friend again. In the story the boy searches for his friend over mountains, across fields, and to the other side of the world. When he meets her again years later, they get married. Awwww! You can read my full review here. 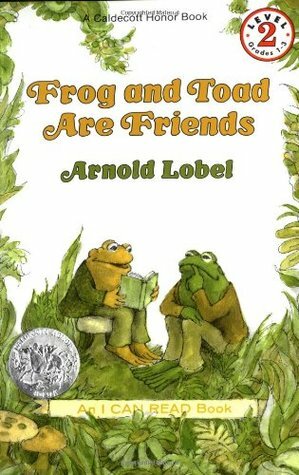 Frog and Toad have been best friends for almost 45 years now and still going strong. The book is divided into five shorter stories about their friendship beginning with ‘Spring’ when Frog goes to Toad’s house to wake him up as soon as the snow starts melting. Toad refuses to get out of bed until half-past May. Frog, wanting Toad to get up right away, tears off all the months of the calendar until he gets to May and tricks Frog into getting up so they can go for a walk together. ‘The Story’ is good, and so is ‘The Lost Button’ but my classes and I always liked ‘A Swim’ best of all. The last story in the book ‘The Letter’ shows us how deep Frog and Toad’s friendship really is. When Frog finds out that Toad waits sadly on the porch every day waiting for mail that he never receives, Frog rushes home and writes his friend a letter. They have to wait four days to get the letter because it is being delivered by a snail. (I wonder if this is where the phrase ‘snail mail’ comes from.) The letter said, ‘Dear Toad, I am glad that you are my best friend. Your best friend, Frog’. ❤ Frog and Toad! Lit friends are the best! Yes! Lit friends remain with you forever!